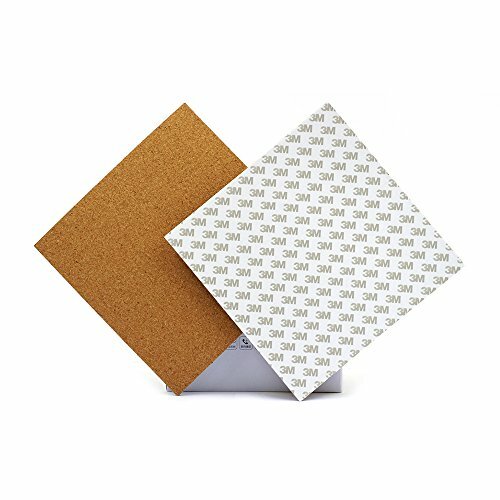 3D Printer Professional Accessories: quartet cork board for 3D printer hot bed. Reduce heating time: with the high temperature adhesive tape for connecting to the heating bed, this board can reduce hot bed heating time. Heat preservation: Made of heat-resistant cork fiber, using this cork in hot bed bottom, it can make internal temperature fair, the power is saved. Size LWH: 8.6"x 8.6"x 0.11"/ 220 x 220 x 3 mm. Easy to install - Stick the sheet on the bottom of the heatbed with the 3M adhesive side. After Sales Guarantee: each one desfective item can have the free replace or refund, need more help please feel free to contact us, we will try our best to service you. [Gulfcoast Robotics] Round Borosilicate Glass Print Surface D=200mm for RepRap 3D Printer Kossel Delta.